We continue to examine the work of Quirk as a pillar of the Pennsylvania arts community through the exhibitions he organized under Quirk's era at Lehigh. Perhaps the renaissance of his reputation as a painter will be matched by a new found respect for his curatorial efforts. This post focuses on Waldo Peirce. As you will read below Quirk included him in a 1960 exhibition with Charles Ward and Raymond Galucci Full Pierce biographies can be found on Wikipedia and Citizendium. We have excerpted from them below. Waldo Peirce (December 17, 1884 – March 8, 1970) was an American painter. 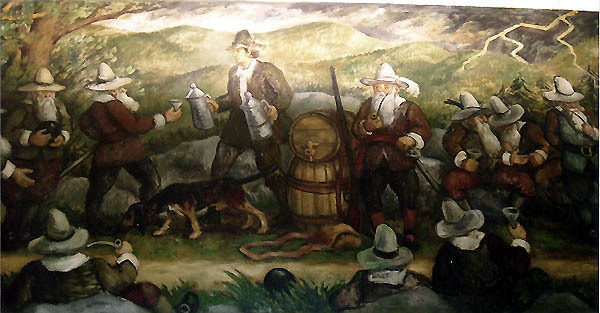 Peirce was both a prominent painter and a well-known character. He was sometimes called "the American Renoir". 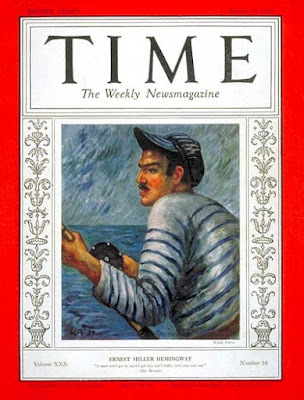 A long-time friend of Ernest Hemingway, of whom he painted the cover picture for Time magazine in 1937, he was once called "the Ernest Hemingway of American painters." To which he replied, "They'll never call Ernest Hemingway the Waldo Peirce of American writers." As Peirce once said, he never worked a day in his life. He did, however, spend many hours every day for 50 years of his life painting thousands of pictures of his beloved families (he was married four times and had numerous children), still lifes, and landscapes. Peirce was a large man for his time (he was drafted onto the Harvard football team, he said, solely because of his size) and with a mustache and full beard and a large cigar jammed perpetually into his mouth he looked every inch of a cartoonist's notion of an artist. Peirce himself was adamant about one thing: "I'm a painter," he insisted, "not an artist". He was born in Bangor, Maine to Mellen C. Peirce and Anna Hayford on December 17, 1884. He attended Phillips Academy in Andover, Massachusetts and graduated in 1903. He then attended Harvard University. In 1915 Peirce joined the American Field Service, an ambulance corps that served on the French battlefields, two years before the entry of the United States into World War I. He was later decorated with the Croix de Guerre by the French government for bravery at Verdun. 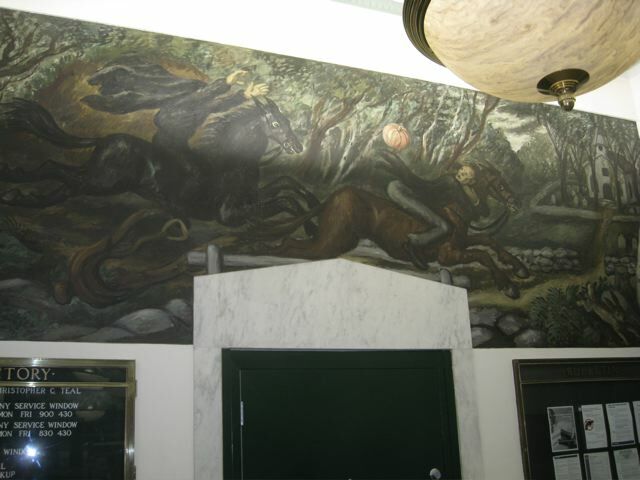 In 1938, he was commissioned by the Treasury Section of Fine Arts to paint two murals, Legends of the Hudson and Rip van Winkle, for the U.S. Post Office in Troy, New York. He lived in Searsport, Maine. He died on March 8, 1970, in Newburyport, Massachusetts. Below is a representative painting of his oeuvre. 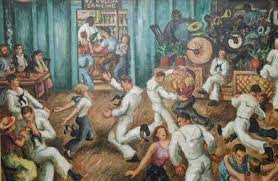 The Silver Slipper painting of a saloon features a self-portrait of Peirce seated on the left and his friend Hemingway seated at the bar through the archway. 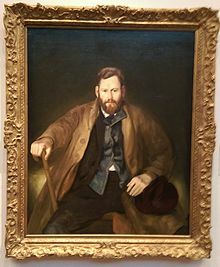 Peirce was a prolific painter and the abundance of his work may detract from its market value today. His works can generally be purchased for less than $10,000 and a selection are available from the Liros Gallery in Blue Hill, Maine. These modest valuations are a bit surprising when one considers his paintings can be found in the museums listed below.